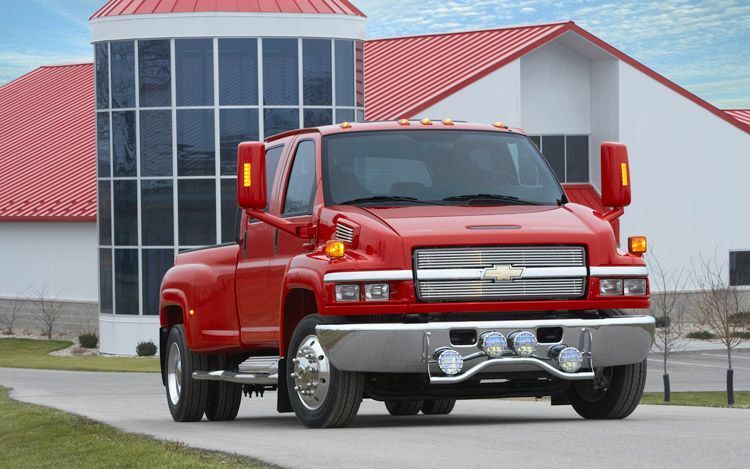 Chevrolet has sold various iterations of a Conventional Medium Duty truck during its storied history. Currently, the brand doesn’t offer any Conventional Medium Duty trucks, but is planning to introduce two such models in calendar year 2018. Chevrolet is working on a next-generation conventional-style medium duty class 4 and class 5 trucks that will be called Silverado 4500 and 5500, respectively. Developed in collaboration with Navistar, the trucks are will launch in calendar year 2018 with a Duramax Diesel engine and Allison transmission. They will likely be manufactured by Navistar. Chevrolet offered the Kodiak — a conventional-style medium duty truck from 1980 through 2009. The model was discontinued upon GM’s bankruptcy in 2009.